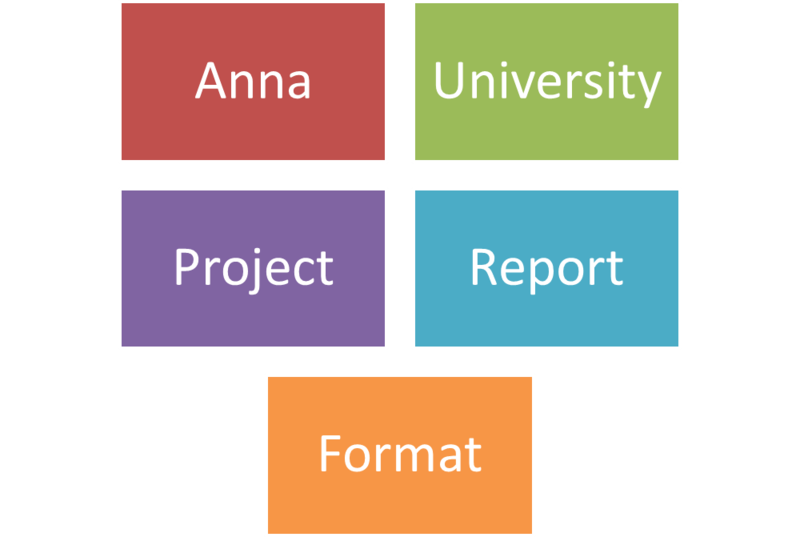 FORMAT FOR PREPARATION OF PROJECT REPORT FOR B.E. / B. TECH. / B. ARCH. B.E. / B. TECH. / B. ARCH. The dimension of the project report should be in A4 size. The project report should be bound using flexible cover of the thick white art paper. The cover should be printed in black letters and the text for printing should be identical. 3.3 Abstract – Abstract should be one page synopsis of the project report typed double line spacing, Font Style Times New Roman and Font Size 14. 3.8 Chapters – The chapters may be broadly divided into 3 parts (i) Introductory chapter, (ii) Chapters developing the main theme of the project work (iii) and Conclusion. One and a half spacing should be used for typing the general text. The general text shall be typed in the Font style ‘Times New Roman’ and Font size 14.
is the bonafide work of “…………..NAME OF THE CANDIDATE(S).…………” who carried out the project work under my supervision. Can u plz tell me the format for the first review of the project?.. Wt shud i show the panel..Wt s really needed?? For first review, students usually give an introduction to their Projects.. just prepare a ppt about your project and what u have done till now..